Breakfast at Tiffany’s is one of those famous films that everyone has heard of, even if they have never seen it. Falling into the “never seen the film” category we were looking forward to the new stage adaptation of Truman Capote’s book which has been adapted for stage by Richard Greenberg. The theatre was packed and after a slight delay, due to a technical hitch, the play began. 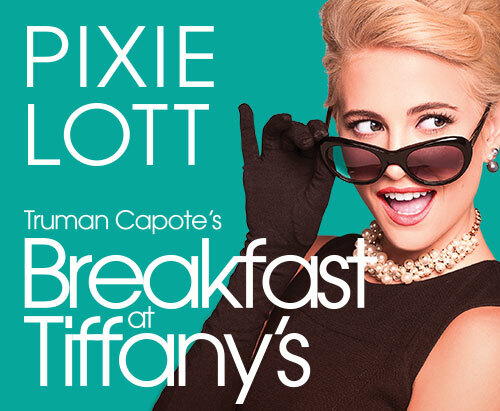 Set in 1940’s New York, the story revolves around young writer Fred, played by Matt Barber, and New York socialite Holly Golightly, played by Pixie Lott. 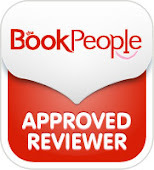 Fred lives above Holly in an apartment block and whilst struggling to break into the world of publishing becomes infatuated with the young and attractive Holly who lives downstairs. Holly is a self centred character who cares little for how her actions affect those around her caring more for material things than love. This isn’t a typical romantic comedy where boy meets girl, they fall in love, overcome a tragedy and live happily ever after. Not being familiar with the story we found the play was hard to follow at times and was very slow to get going. Whilst the scene changes were amazingly quick, time really seemed to drag and I found myself wondering how much longer the first half would take! The sets are very impressive, quickly switching between the two apartments, a local bar, and a few other locations. A steel fire escape easily evokes visions of an American apartment block and projections are used with great effect to change the scene, the Brooklyn Bridge working particularly well. Pixie wears a huge number of different costumes and they all suit her role perfectly, adding to the feel of 40’s glamour. Just as impressive was the speed that she managed to get changed, returning to the stage just seconds after leaving but in a completely different outfit. With a cast of twelve, almost everybody put on a great performance; Matt Barber, better known for his role in Downton Abbey, was a strong lead, playing the part of Fred as well as narrating the play and barely left the stage. I also liked Victor McGuire’s performance as bartender Joe Bell. Pixie Lott, more well known as a pop singer, acted well but was let down by her accent. Often American but drifting into other accents, her voice lacked inflection and without expression it was difficult to fully get into her character. On the plus side, Breakfast at Tiffany’s is often described as a play with songs and Pixie was at least able to show off her talents with three songs, including the famous “Moon River” which were sung beautifully. This is a big production and so many parts worked well. The scenery, costumes, lighting and sound design and most of the acting were just right so it is a real shame that the evening was let down by a lacklustre script and a dodgy accent. At the end of the show the audience congratulated the cast with polite applause rather than a standing ovation.